Boy it has been busy of late, not what I expected 2013 to be. I’m way behind on a lot of things I had planned to get done this year, but who isn’t. Today I got one item off the todo list. Back in September at the DCC, John Hansen, W2FS presented the TNC-Pi, a radio modem for the Raspberry Pi. 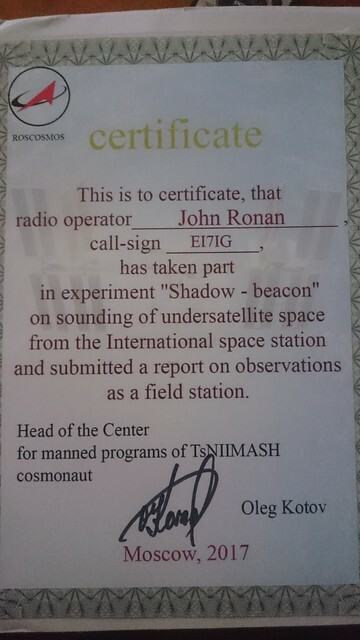 John was kind enough to entertain my questions, and I purchased one from him. 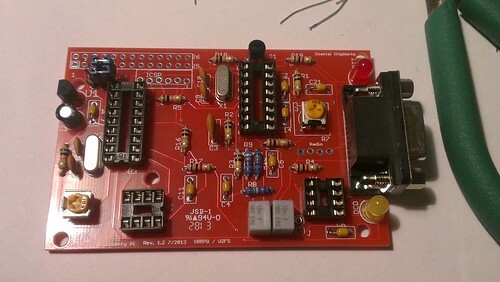 This morning, I dug out the kit, fired up the soldering iron and put it together, quite therapeutic I must say. Looking forward now to getting a Pi, and getting it all going, assuming I’ve not messed up in the construction. In between cleaning the rubbish off the deck, entertaining my cousin Saturday afternoon, getting the tables and chairs out, putting the glass back into the glasshouse (literally), and getting the lawn cut. I got some time to look at some digital modes for Amateur Radio. First up was getting my tunnel set back up to AMPRNet. That took a bit longer than expected, but I finally got it all sorted and have rip44d (Written by Heikki, OH7LZB) running, with a slight modification to use a separate routing table for the “44” Network. More on this below. Next up, was to get my 4m (70Mhz) AX.25 port back running. Then configure LinuxRMS to allow the port to be used as a Winlink Gateway. This will allow anyone that can connect to my 4m port to use it for sending and receiving email over radio (just like a smart-phone, only much more slowly 😉 and much larger range between base-stations). Now, the only real way to test it properly was to connect to it from another machine which meant configuring paclink-unix on my (recently re-installed) Linux laptop. So I unpacked my Emergency Communications Go-Kit, plugged it all in, downloaded and installed the latest version of paclink-unix. Configured it up and tried to connect. Lo and behold it all worked. While I was as it, I tried out the wl2kax25d daemon and the peer-to-peer mode of paclink-unix and it also seemed to work quite well (for instances when no Winlink gateway is available). Now that I had the tunnel to AMPRNet running, I though I’d test it out some more so configured up a second ethernet port on the machine with my AMPRNet address of dstar.ei7ig.ampr.org, and configured the (same) laptop with the address of mobile.ei7ig.ampr.org. Once it was all set up I tested the wl2ktelnet daemon which is the paclink-unix mechanism for directly connecting to the Winlink servers when Internet connectivity exists. Much to my surprise (that I hadn’t stuffed something up) it worked first time. Now that it all seems to work, I’m going to bring it all along to Tankardstown Geopark next Sunday (17th) where SEARG will be operating for a few hours (80m Counties Contest) The priority will be voice on Sunday, but I may get time to “go digital”. If your passing, drop in and say hello. Club members will be there from about 10 in the morning until after 6 in the evening.